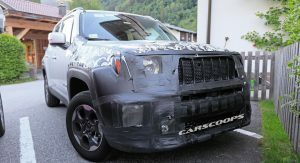 Jeep will officially unveil the EU-spec 2019 Renegade at the Torino Motor Show, in Italy, this Wednesday. 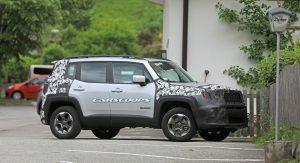 Spotted several times by our spy photographers while undergoing tests, the smallest model in the company’s lineup will get all sorts of design updates. 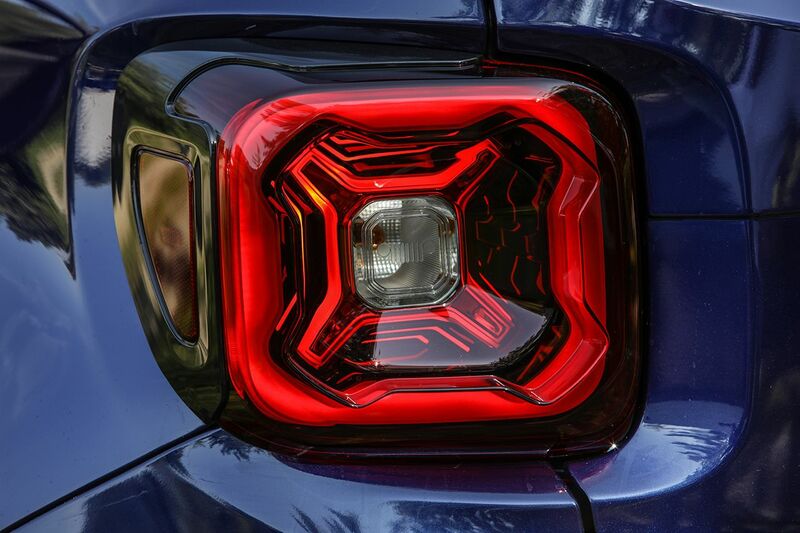 There’s a redesigned grille, new front bumper, relocated fog lamps, different bumper at the rear and refreshed taillights. 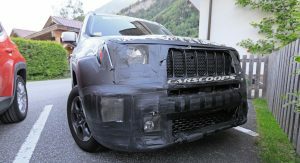 It’s very likely that along with the modified styling, the baby Jeep will also receive new exterior colors and rim patterns. 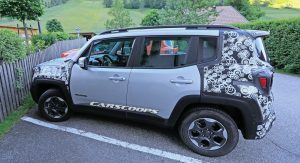 Inside, the 2019 Jeep Renegade won’t get a significant makeover. 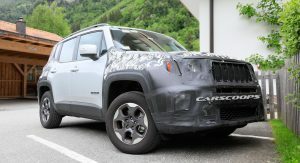 Still, expect new trim materials, a couple of extra storage compartments and a revised Selec-Terrain shifter. 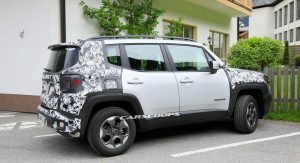 Also Read: Is This The Facelifted 2019 Jeep Renegade? The engine lineup will be extended with the addition of new units. 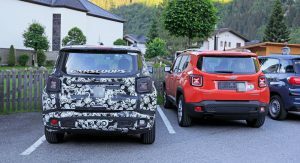 In the official release announcing its debut on June 6, the manufacturer talks about “a new family of three- and four-cylinder petrol engines”. 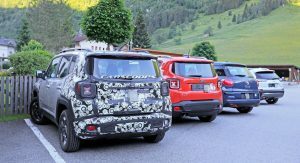 These will be a 120PS (118hp / 88kW) 1.0-liter and a 1.3-liter mill with two outputs: 150PS (148hp / 110kW) and 180PS (177hp / 132kW). 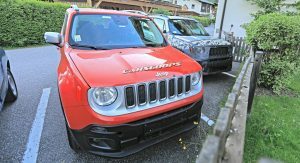 More details about the Euro-spec version of the facelifted Jeep Renegade, probably along with an extensive image gallery, will be released in the second half of June, during the first media drive. 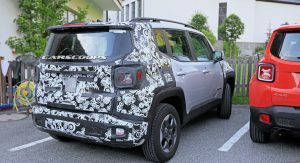 It remains to be seen if the 2019 Jeep Renegade will get the same powertrains and updates in the U.S., but the visual makeover might lead to a slight price bump. 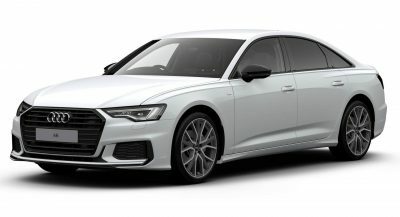 Right now, the current base grade that can be had from an MSRP of $18,445. I attended the Torino auto show a couple of years ago, it was completely open to the public -outdoors in a park. Kinda strange place to hold an auto show, even stranger to introduce a revised Jeep model… unless perhaps they plan to show its off-road capabilities. Nobody actually attends auto shows anymore, that’s why most brands have been skipping them one by one. Actually plenty of people attend Geneva, Detroit, etc., shows are just getting too expensive for the minimal ROI they give. 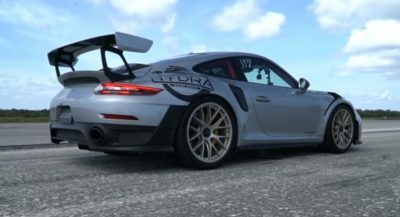 Another problem is that auto shows tend to attract more enthusiast who already know enough about the vehicles, while shows like CES have a much broader audience of potential customers. In this regard, Torino’s park format certainly has the broadest audience, though i’m not sure the random jogger or pensioner walking her pooch would be the most focused target audience. 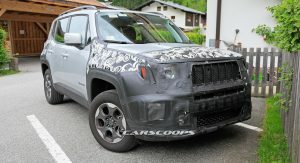 This is still a unathentic Euro weenie Jeep, not a true off-road-worthy American Jeep. Even in most Asia places where they thought this thing would be easy to pawn off to the public, the Wrangler sells better. Authentic beats an econo-wannabe anyday.